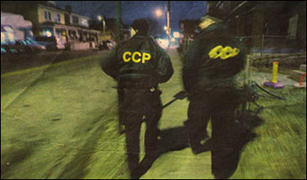 Community Crime Patrol, Inc. (CCP) is a not-for-profit, community-based, crime prevention organization that deploys teams of specifically-trained citizen patrollers in several neighborhoods around Columbus, Ohio. As of May 8, 2018, CCP has been engaged by the East Main Street Special Improvement District to patrol from Barnett to Roosevelt along the Main Street business corridor. Apply now for patrol positions throughout the City of Columbus. Flexible hours, competitive pay and training included! Each month, a report is released detailing patroller's activities on each site. CCP now has a Facebook page. Join our community of supporters and stay up-to-date. To report a crime, call the Columbus Police at 614-645-4545.